Amadeus – Green Space Alliance | Urban designers | Planners | Landscape Architects. Team of LSG and GSA is retained by the client for landscape architecture of this premium residential development in Noida, India. The development consists of 35 story three apartment towers each designed to go beyond the confines of luxury. Architecture and landscape design is set out to create an exquisitely sublime world of refined indulgence. A cascading water fall that greets people at the entrance as well as helps to connect the upper level podium with the drop-off level. 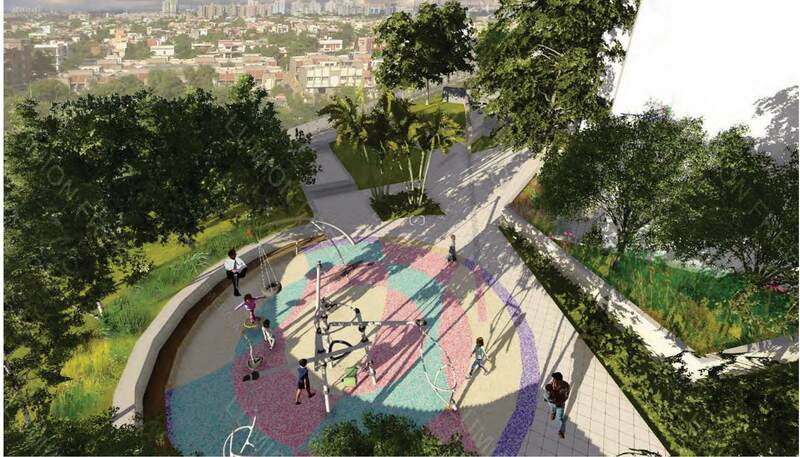 The design offers numerous amenities at podium as well as roof top level. 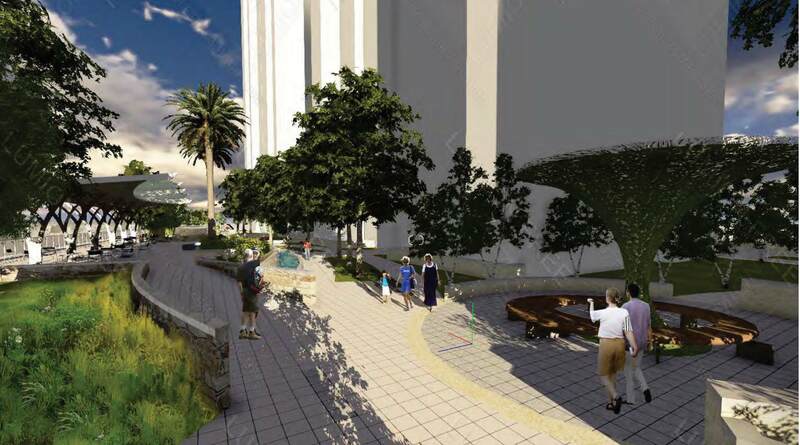 Outdoor amenities include a variety of active and passive recreational opportunities such as scintillating water features, fountains, sculpture plaza, seating areas, party lawns, children’s play area, skating areas, sky lounge, swimming pool, and outdoor barbeque kitchens. 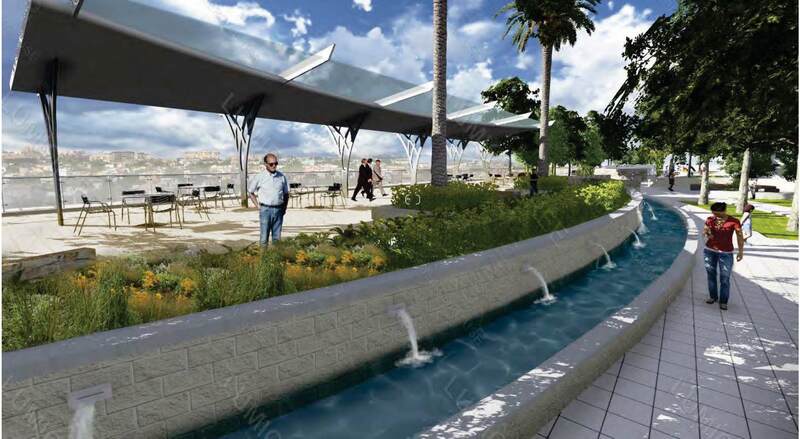 The project aims to achieve LEED Platinum certification by way of employing various design parameters including maximizing green areas, using native and adapted drought tolerant plant species and other innovative ways to conserve water usage.